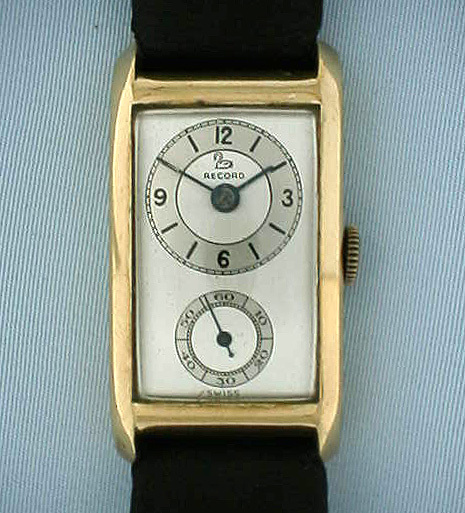 Good Swiss 9K gold vintage doctor's wrist watch by Record Watch Co., circa 1935. Handsome original two-tone dial. Nickel 16 jewel movement. Triple signed. Very attractive and in particularly fine condition.